Kamilla Janowicz, Kama, was a young Girl Guide in Kraków when Germany invaded Poland in 1939. The largest organization of Girl Guides and Boy Scouts in Poland the Związek Harcerstwa Polskiego "ZHP," was considered a criminal organization by the Nazis. Many Scouts and Guides were immediately executed by the SS. But they continued to operate underground and were instrumental in the resistance. Girl Guides used their training to administer first aid; they delivered and decoded important messages; they reported on German troop movements; some even fought alongside the Scouts, including during the Warsaw Uprising. For her work in the resistance, Kama was arrested, tortured by the Gestapo, imprisoned at Lublin Castle, and finally, sent to Ravensbruck. The Guides continued to operate secretly in the camp. They formed the Mury (The Walls) which smuggled food and medicine to sick prisoners. Kama was assigned to work the kitchen, where she used her desirable position to help the Rabbits, sneaking them food into the sick ward, at great risk to herself. Wanda Pólłtawska, one of the Rabbits, said she and many others owe their lives to Kama. On April 30, 1945, the camp was liberated and countries sent transports to retrieve their prisoners. But no one came for the Polish. So Kama, a nurse by training, and others stayed with the sick and wounded, too weak to walk themselves out of the camp. Finally, in mid-July, Kama drove the last truck full of sick prisoners out of the camp gate and to the train station. 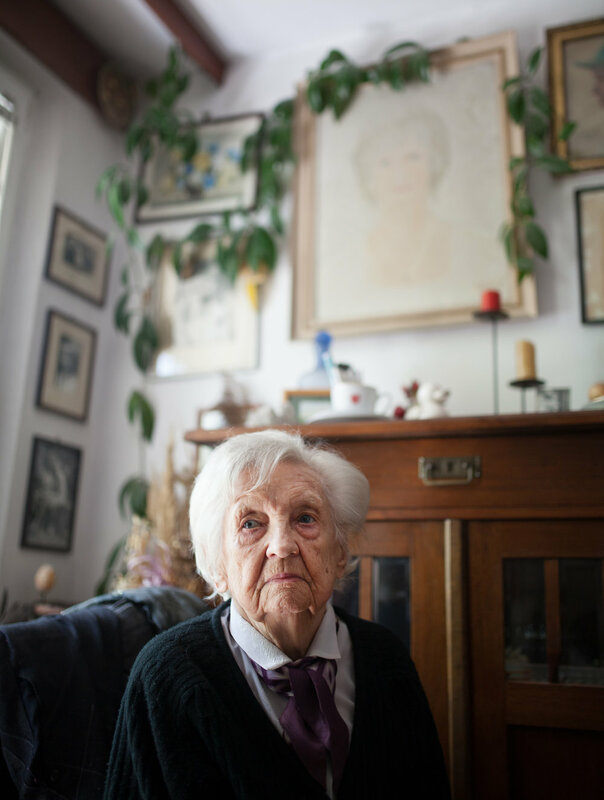 Kama, 98, is the last living member of the Mury. Kama in her Krakow apartment. Kama shows us an award given to her by the Girl Guides for her commitment to Girl Guide values. She is the last living member of the Mury. Kama with our Polish translator, Justyna.